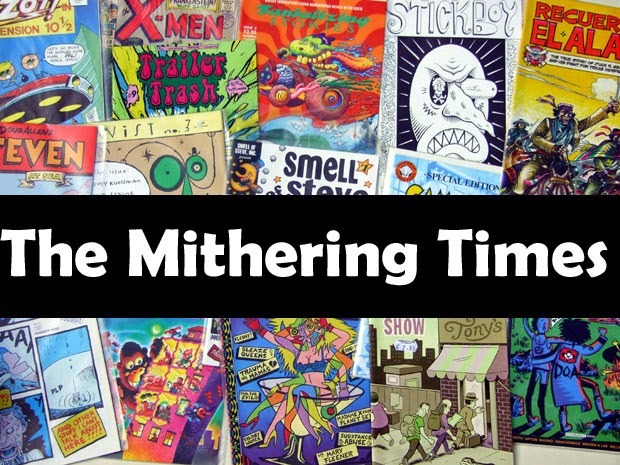 the mithering times: Rocket From The Crypt - On A Rope. I'm still working my way through Eric 'New Bomb Turks' Davidson's 'We Never Learn', the story of a web of vaguely-connected DIY music scenes, bands, venues and shakers I had loose involvement with in the early 90s. Once I've read it, I'll try to post a review. In the meantime, here's a Top of the Pops appearance by Rocket From The Crypt. I was in Spain when this was on TV. I know this for sure because I had tickets to see them in Madrid on the Friday night. The show was mysteriously pulled at the last minute due to 'venue problems'. Next day, I bought a copy of The Guardian and saw in the TV listings that the previous night's live edition of Top of the Pops was due to be repeated that lunchtime, complete with an appearance by Speedo and The Gang. Bastards.